What is poverty, what are its causes, and how can we best help those living in poverty? 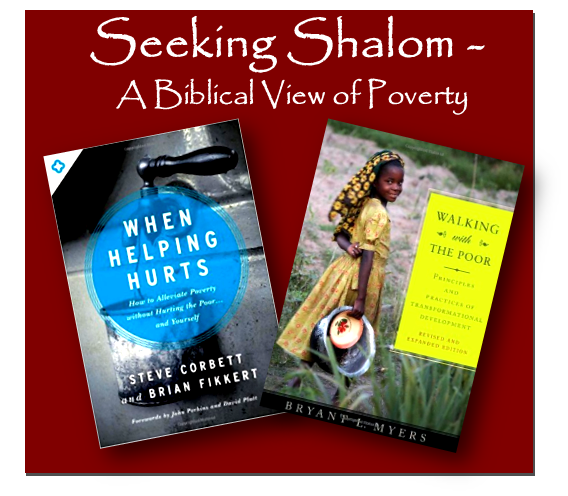 John Shriver and Claire Strand will teach this eight-week series in connection with the Lenten emphasis on poverty. Their goal is to open a discussion of poverty and what we as Christians should be doing about it. The class will view powerful videos produced by both The Chalmers Center in Lookout Mountain, Georgia and The Lupton Center in Atlanta that highlight how prevailing views on poverty and its alleviation have changed in recent years. Class discussions will center on how Christians can respond to poverty and work for maximal, long-term benefit for everyone on this earth. No matter what your current views are on poverty, Claire and John believe that this material will significantly change your thinking. No texts or reading are required for the class. A suggested reading list and more information about the class will be available on mlutheran.org in January. The class will meet from 9:45 a.m. to 10:45 a.m. in Messiah’s Parish Hall. All are welcome, including members of our community. Coffee will be served.